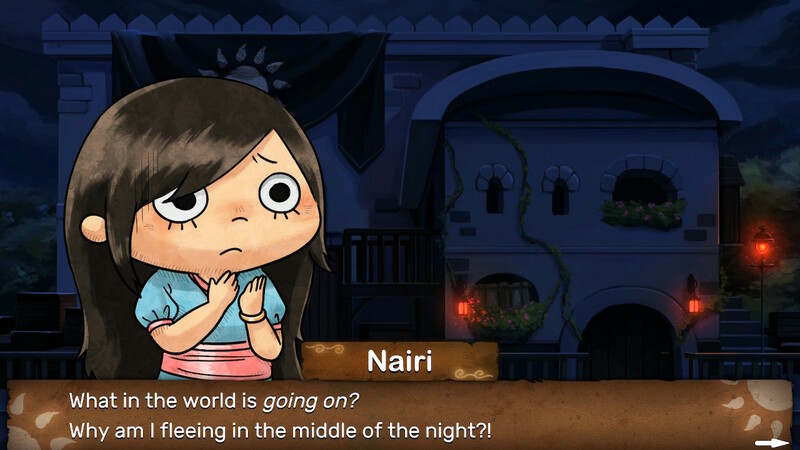 A little girl finds her world turned upside down in NAIRI: Tower of Shirin when the Royal Guard suddenly locks up her parents. Meanwhile, a friend smuggles her away before they can find her too. 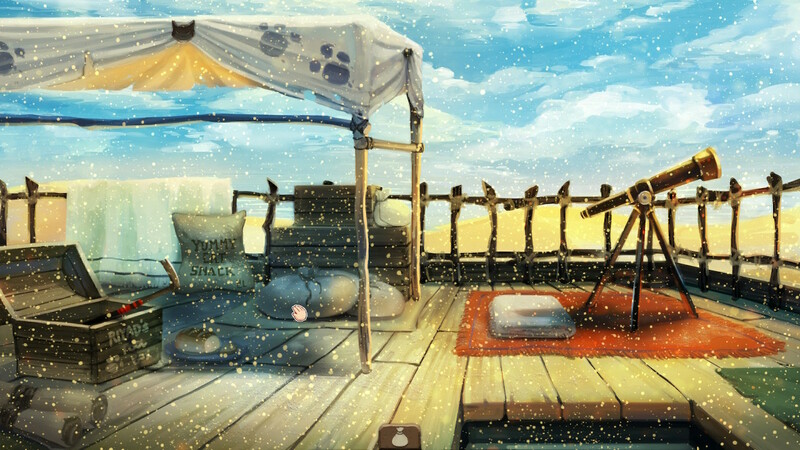 This sets in motion a charming and mysterious adventure as Nairi solves puzzles and discovers ancient relics as the story unfolds. Can she solve all of the puzzles that block her path and get to the bottom of things? A family friend prepares to smuggle Nairi out of the city before the Royal Guard finds her. Nairi is soon smuggled completely out of the city, but the convoy is commandeered by a group of likeable cat bandits. They soon turn out to be good friends rather than foes, but Nairi can’t live with them forever. So she sets out to get back to the city, hoping to eventually reunite with her parents. She soon discovers some ancient relics connected to her necklace, but what that means is for you to uncover. A scared Nairi flees her home as she heads to a nearby warehouse that is owned by another family friend, who can smuggle her out of the city. 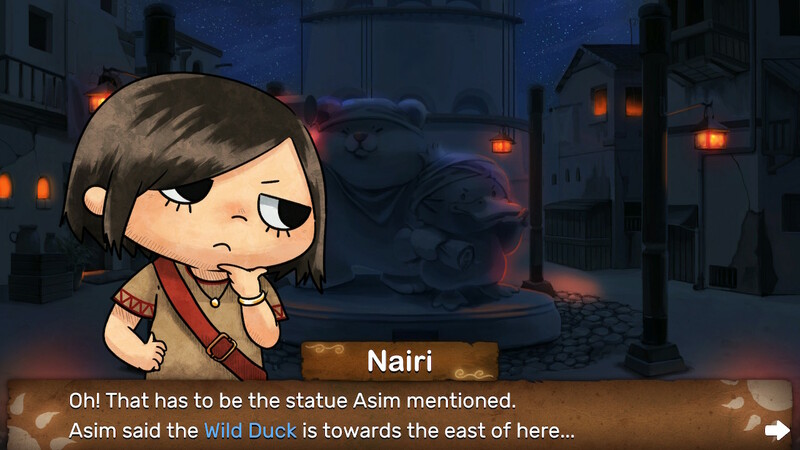 The gameplay in NAIRI: Tower of Shirin is very simple. It is at its heart a point-and-click adventure game. You have three controls options, including Joy-Con and controllers. You’ll spend most of your time moving the cursor around each screen clicking on things to see what you can find, or to unearth clues to help you advance. You have an inventory bar you can open to access items you find. You can use these items by dragging them onto whatever you need to use them on, such as dragging the dagger onto a rope to cut it. 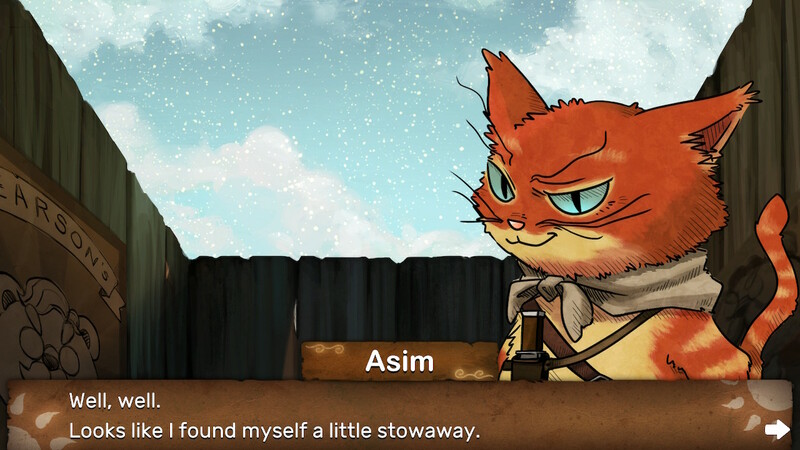 Asim, the leader of the cat bandits, discovers Nairi in a crate inside the wagon that was smuggling her out of the city. There are also many gold coins to be found in the environments by clicking on often unassuming objects, like certain barrels, pots, or windows, for example. They are used as currency in a few places, but there are many more hidden coins than you actually need. You need them to get an item early on, and also to unlock some paintings in a club in the city. Nairi finds herself locked up in the cat bandits’ treasure room in the basement. While the gameplay itself is quite simple, some of the puzzles may have you scratching your head a few times over the course of your adventure. They aren’t too bad overall, except a few toward the end of the game are more obtuse. The pipe puzzle near the end of the game is a pain, for example. You have to slide square tiles around to connect two pipes together. It’s a fairly large board, and very heavy on trial and error to solve with the limited parts you have to work with. Unfortunately, the controls for tile-based puzzles like this are unnecessarily clunky if playing on a controller, too. Nairi returns to the city after a long stay with the cat bandits. 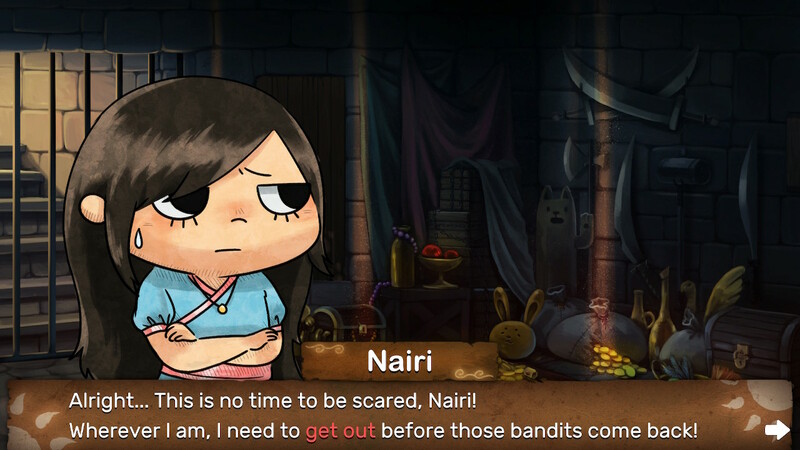 The story in NAIRI: Tower of Shirin is engrossing and keeps you wanting to play a little more to find out what happens next. It’s somewhat slow to get rolling, but once it does the game will hook you and you won’t want to quit playing. The one flaw here is that the conclusion is kind of abrupt and doesn’t give much closure. It leaves the door wide open for a sequel, so much so that it feels a bit forced. 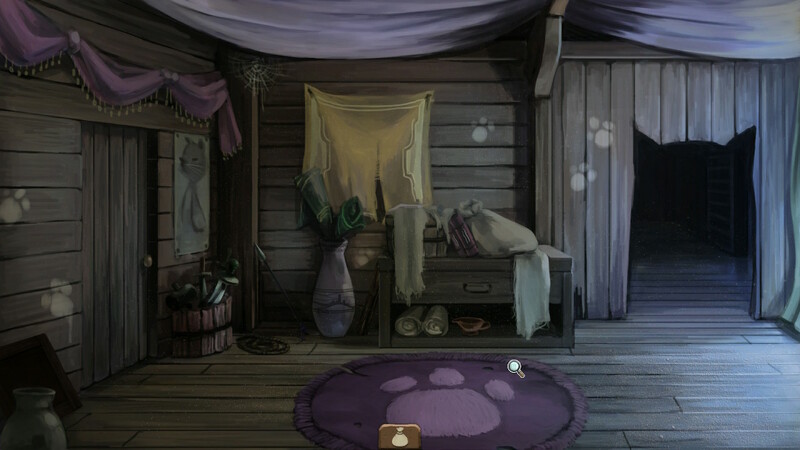 A room inside the cat bandits’ hideout in the desert. The graphical style is a very nice hand-drawn, cartoony aesthetic. It looks very nice and also fills the environments with detail, while bringing them to life. The sound effects do their job well, and the music is nice as well. The music is calm and mostly just sets the mood. It’s not meant to be bombastic and/or catchy, and I think that’s fine here. Nairi explores the top of the tower at the cat bandits’ hideout. 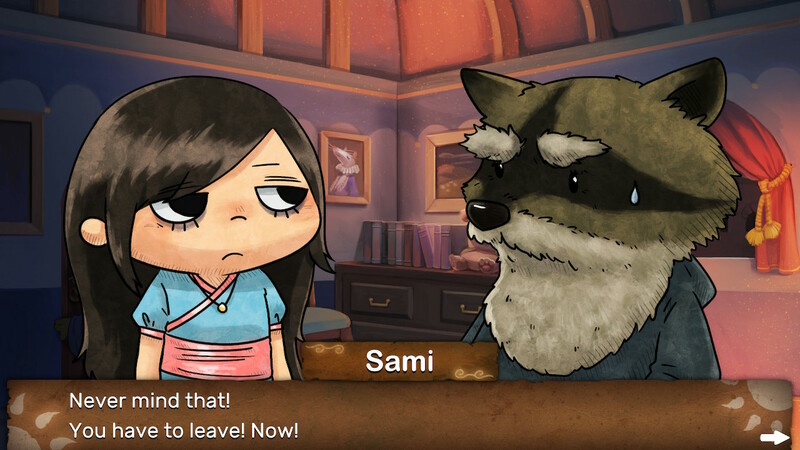 Overall, NAIRI: Tower of Shirin is a very charming and enjoyable little point-and-click adventure game for the Nintendo Switch. I really enjoyed both the story and the art style quite a bit. It will take you probably 10-15 hours tops to complete your adventure, depending on how much you get stuck here or there on certain puzzles. I spent around 10 hours or so on my adventure and learning about the Tower of Shirin for this review. The game is available on the Nintendo Switch eShop for $9.99. You can also get it on PC via Steam. 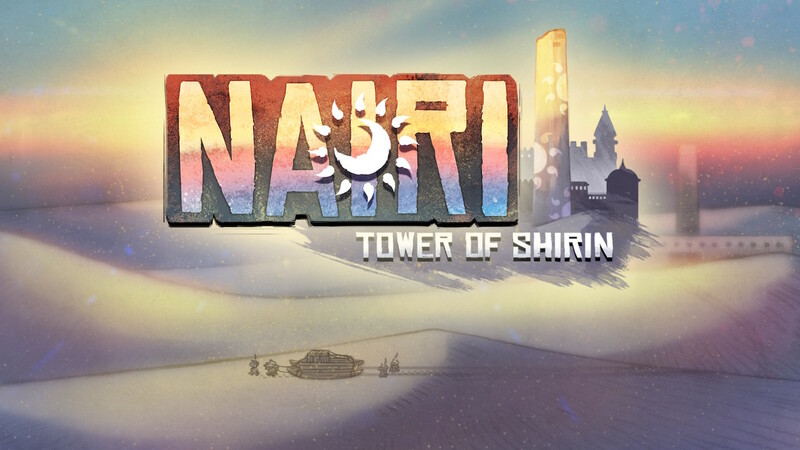 Can you solve all of the puzzles and reach the top of the Tower of Shirin?